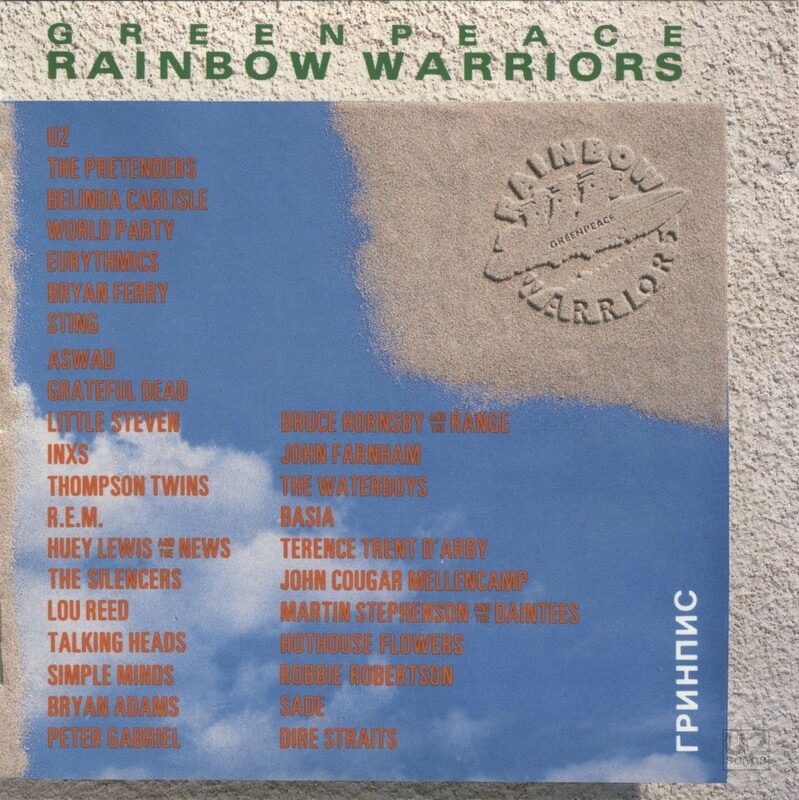 This compilation was put together by Greenpeace for funding Greenpeace campaigns and infrastructure. The name of the album was “Breakthrough” in Russia, where it was initially released in March of 1989. This was the first ever pop compilation of western artists released in the Soviet Union, and it reportedly sold 500,000 copies in Russia on the day of release alone. The proceeds from the album sales were used to provide the start-up investment to begin a Russian branch of Greenpeace. The artists involved all donated their tracks to the album. And each album contained a 16-page booklet designed to give an overview of the worlds environmental problems. U2 contributed the song “Pride (In the Name of Love)” to the compilation. The version they contribute is a live recording of the song, recorded live in Denver, on November 8, 1987. It is the same performance that was included on “Rattle and Hum” in 1988, however it is edited differently on this release. On the “Breakthrough” album, the introduction to the song, “For the Reverend Martin Luther King this is Pride (in the Name of Love” is still present at the start of the song, where it has been edited out of the version found on “Rattle and Hum”. Thus the track is slightly longer on this compilation. A dozen of the artists involved in the album, including The Edge from U2 went to Moscow for the album launch on March 6, 1989. The album was released to long queues of buyers, including over 3000 fans who had queued at the main outlet of Melodiya Records, the state record company who had issued the album in Russia. The compilation was put together as a donation to Greenpeace by Ian Flooks and the staff at his Wasted Talent Artists’ Agency in London. The agency had worked with U2 in the early 80s and was involved in booking tours for U2 in the early days. He was also a producer of the film “Killing Bono” which featured Neil McCormick’s tale of some of those earlier days on the big screen. Pride (In the Name of Love): 1988 Island Records. Written by U2.